Easy way to re-use old folders. 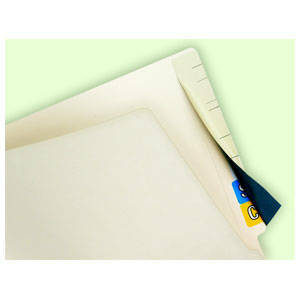 Self-adhesive and wrap-around design adds reinforcement to tab. Printed score marks for even positioning of new labels. 60 lb. manila color finish. Strip must be applied to folder before application of new labels.